A lot of people were very confused when the Pope’s butler was arrested, and told it had to do the growing scandal at the Vatican Bank. Some said, “How does a butler have anything to do with Banking?”; others said, “The Vatican Bank? This must be some kind of secret conspiracy!” As much as I hate giving any credit to conspiracy theorists, this one is a bit more Dan Brown that Agatha Christie. So, let’s skip any, “The Butler did it!” jokes and see what’s really going on. 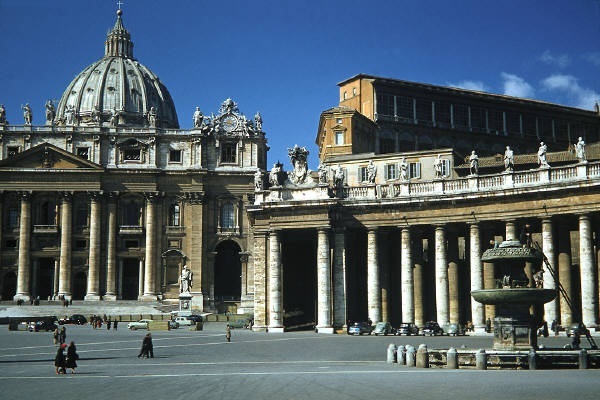 Both the Vatican and the global banking system grew up together. HBO’s show, “The Borgias”, sensationalizes the seamy side of the medieval Papacy, but the endless intrigues are based on historical facts. The Borgias consolidated political power at the Vatican, while the Medici family created our modern banking system. Banks at that time were a far cry from what we think of today, with the secretive movement of money being key to its functions. The Medici bank rose and collapsed over and over again, but it built the political power base that put the Medici’s on the Papal throne just a decade after the Borgia’s reign ended. The world of Baking has evolved and moved on with the times, but the basic operations of the Vatican have remained fairly static. That’s not to say that the Vatican hasn’t tried to modernize its operations, it just hasn’t been very successful. What we call the Vatican Bank is officially named the, “Istituto per le Opere di Religione,” or the Institute for Works of Religion (IOR). This office functions as a bank, with a “real” banking CEO. It works with International regulatory groups, and represents the Vatican City in its use of the Euro. But it is NOT a central bank, as the Bank of England is for the UK. The IOR is technically a charitable foundation, and is managed with other Vatican charities. But charities lack the controls that a bank requires. When we skip ahead to the 70s, the IOR is definitely acting as if it was a bank, transferring large amounts of money into and out of other banks. The IOR even appoints banking advisers, of a sort. One of these advisers was Michele Sidona. This time around, we’re just learning about the issues. In 2010 Italian authorities seized an account from the IOR worth $29 million, triggering a larger investigation. Since 2010 JPMC has been asking the IOR about account 1365, a mysterious and huge ($1.5 billion) account with activity strongly resembling money laundering. As a result, JPMC announced the closure of this account on March 30, 2012 citing a “lack of transparency. Even before the closure of the account there were many rumors of serious problems (the “Vatileaks” scandal), and the head of the IOR was recently fired by the Vatican. I’m sure that there is much, much more to come. The IOR was never intended to be a bank, although it has slowly moved into that role. As a charity, the IOR falls into a gray area outside of banking regulation. As a bank, it needs much stronger internal controls. However, Likewise, the Vatican’s has a very long history of absolute opposition to government regulation, that makes a poor fit with today’s trend towards deep government regulation and inspection of financial institutions. Secrecy in financial institutions does not always led to illegal activities, but individuals with large amounts of “shadow economy” money look for these places to launder money. The impact of these shadow transactions goes beyond the profits of money laundering and the criminal activities that it supports. Financial institutions that regularly engage in money laundering need to disable a wide range of oversight mechanisms. This invariably leads to larger problems, including bank collapse. A butler in the Vatican probably doesn’t know much about international banking, and has few reasons to send documents about dubious banking transactions to the press. However, numerous individuals in the Vatican do know what this information means, and have their own reasons (both altruistic and self-serving) to expose this data. Just like the butler, both project managers and PMO directors that work in financial firms come into contact with many pieces of information as we develop and execute projects. Early signs of insufficient transparency or eroding transparency are there, if you look for them. When money handling departments don’t build projects for the PMO portfolio, don’t participate in key projects or just don’t like to provide data, it’s an important clue that shouldn’t be ignored. Firms that are corrupted by money laundering don’t get that way overnight, nor is it caused by a single event. When secrecy takes precedence over controls, managers may be are starting down a very dark path. The PMO cannot stop these issues, but it can be the canary in the coal mine and provide early warnings of larger issues. At least, that’s my Niccolls worth for today! This entry was posted in Best Practices, Improvement, Continuous or Not, Project Management Office and tagged AML, anti-money laundering, corruption, Money Laundering, PMO, Project Management, Transparency, Vatican. Bookmark the permalink.